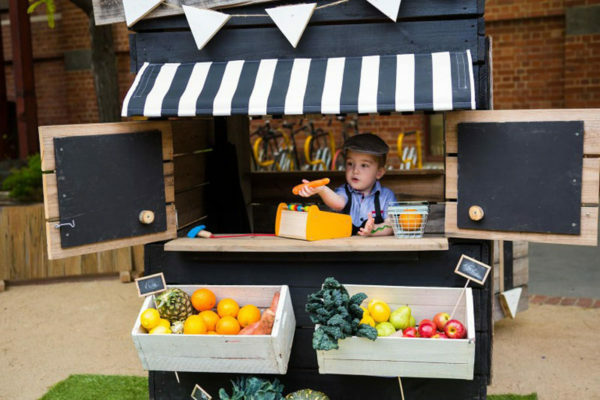 Do the kids love to hit up the weekend Farmers Market? 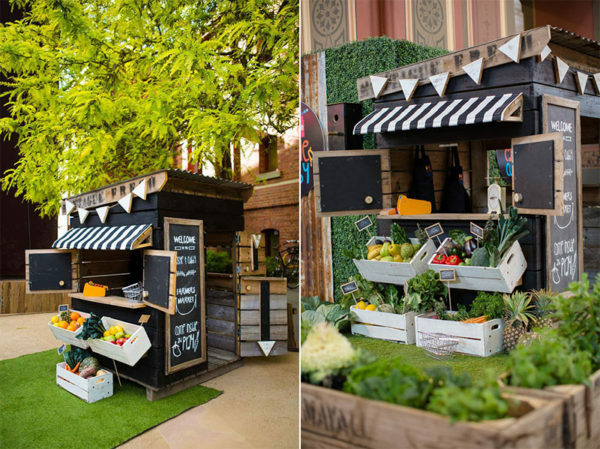 Put an end to having to wait the whole week for a visit, kids can enjoy running their very own Farmers Market every day of the week with a Farmers Market cubby! 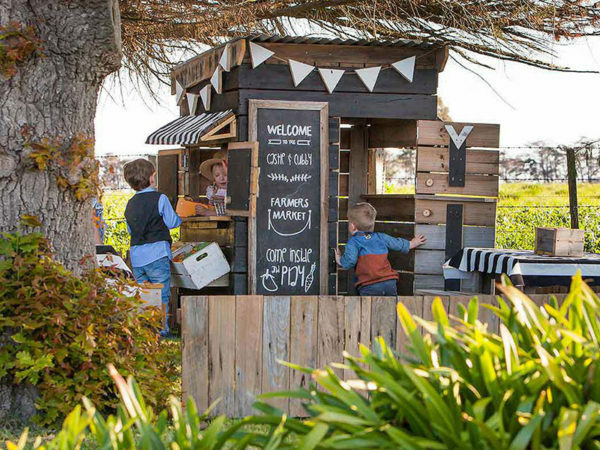 When it comes to building brilliant cubby houses, Babyology are long time fans of the upcycling ways of the clever crew at Castle and Cubby. The Farmers Market cubby house is ridiculously adorable, decked out with a stable door and generous servery. How could anyone resist not glancing at the weekly specials or buying a bunch of kale, fresh carrots or perhaps the (what you thought were carefully hidden) cookies from the stall holder? All of which were likely freshly sourced from the kitchen – but who’s asking? Castle and Cubby cubby house prices are all inclusive, which is both fantastic and a relief. Not only does it include all painting, doors, windows, awnings, buntings, blackboards and delivery – it also includes installation (for Melburnians only). You needn’t lift a finger! For those out of Melbourne, don’t panic, Castle and Cubby provide step by step instructions. The Farmers Market cubby house is available in two sizes, Little, priced $2150, and Midi, priced $2950. For more information and to order, head on over to Castle and Cubby.